Is RPA the buzz word in your company? If not, add it to your corporate lexicon, many other companies are talking about it! For enterprise software, RPA is relatively inexpensive. For value, RPA promises a tremendous ROI. How will you deliver that ROI? RPA refers to Robotic Process Automation. Robots are the wave towards operational efficiencies and supporting scale in your company. The central place where RPA is gaining momentum is cutting out the costs of manual micro-tasks and activities, and digitizing them. RPA is the next promise to transform your business and digitize your expensive, costly, or repetitive manual tasks. What does RPA do? RPA reduces the time and cost to take data from one application and use it elsewhere. The technology has evolved from decades old capabilities: screen scraping, business process modeling, open architecture applications, and wrapped in middleware functionality. It has evolved into a viable set of automated processes that follow standardized, repetitive tasks. One of our clients wanted to reduce billing cycle time and costs. Their billing team had to manually log into a transportation system and capture small amounts of transportation information; a tracking number, in order to complete the invoice. This process and many comparable ones in AP, AR, Shop Floor or wherever B2B or A2A platforms exist are ideal targets for robotic automation. The payback? The CFO estimated that these micro-tasks cost the company in excess of $5 million dollars of excess cost, inefficiency, duplicate data, and increased cycle times. Cutting costs by 30-50% is common for these projects when performed properly. Why do many companies fail to realize these gains? • Roadmap does not exist. RPA software is relatively inexpensive when compared to other enterprise software like ERP. There is a tendency to purchase the subscription software, but not know where to start. One common mistake is to not rationalize and justify what processes should be automated. Like other Enterprise level projects, make sure there is agreement on who owns the process, the expectations, and the RPA tools. 1 – Education to ensure that team members understand how the software works and processes to automate that will deliver the expected results. 2 – Discovery activities that prioritize the targeted processes to automation and the cost / benefit of the processes. Probably the biggest mistake a company makes is automating a bad process. Often there are many steps that do not add value, are not necessary, or could be done a better way. This is the main reason we use the Lean-Six-Sigma process improvement methodology to analyze, improve, and prioritize processes before jumping into spending the time and money to automate a flawed process. Our approach allows the data and outcome to drive the decisions and priorities rather just opinion or legacy thinking. To pause and take a closer look allows us to find opportunities to improve the process. This pause helps build the business case. The justification identifies the prioritization, metrics, and ROI for each process. Certainly, you have heard the phrase, “when all you have is a hammer, everything looks like a nail”. A similar affect happens with RPA – The “Automate Everything” syndrome kicks in. In one situation, a client wanted to automate some manual recurring processes. From our initial workshop, we realized some of their requirements were standard SAP functionality. Another common mistake is to automate with RPA, but better technologies exist such as web services, EDI, API’s, and other middleware techniques. RPA should be another tool in your automation and integration toolbox, and not your only tool. Kick-off your RPA initiative with a clear Roadmap of what is automated and the appropriate business case. We love our buzzwords, but do they trap us into wrongthinking? If we can achieve scalable, flexible, reduced, increased, and many other outcomes, we should proceed, yes? This is not always a good idea! For RPA there is a diminishing return for what you should automate and when. Our experience supports the Pareto Principle approach to your expected results. 20% of your processes will yield 80% of your transformation and results. Take this to the next level, 10% of those processes should yield 90% of the results. This is the objective of the Discovery Workshop. For example, one client outlined approximately 200 processes that were suspects for RPA. Our pilot project approach is to target five processes to implement. These five processes alone will justify the project and deliver significant cost reduction in less than one year. The cost savings along with the Roadmap will deliver benefits for current and future processes to be automated. 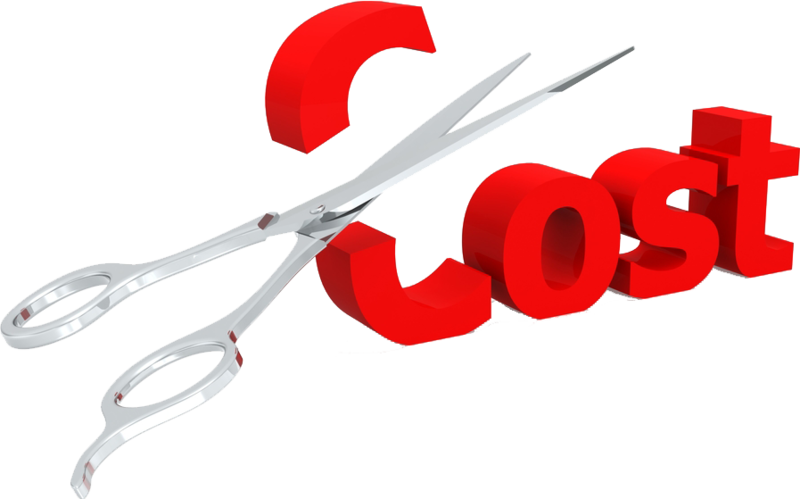 Are you trying to cut costs from your operations? Looking for innovative ways to achieve this? Titan Consulting is a leader in slashing costs in IT and Business operations. Do you have questions about RPA tools and how it can improve efficiency in your company? Avoid the mistakes of a failed RPA project and contact Warren Norris, warren@titanconsulting.net, 972.679.5183; or contact your Titan Consulting Director. You can see additional information on our Advisory Services page at www.titanconsulting.net.